I’m sure you’ve seen them in the gym or maybe someone in your office even uses it as a chair to sit on. 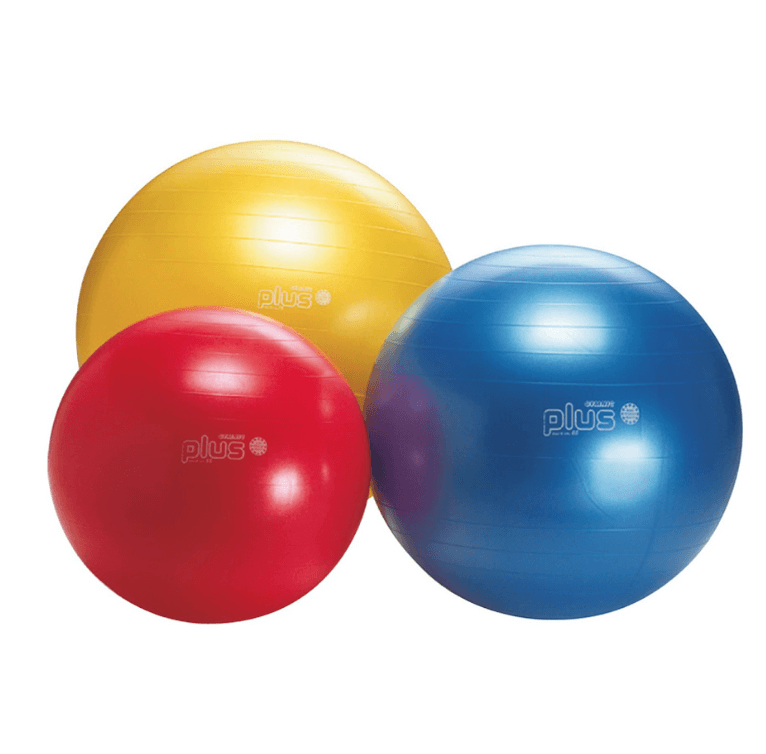 This big exercise ball comes with many names such as gym-bal, stability-ball and Swiss-ball. The Swiss ball first appeared in Switzerland and was used to treat neurological and orthopaedic disorders. Today, the Swiss ball has become very popular in the fitness industry and offers many advantages. If you have never heard of the Swiss ball, keep reading! You will never come across a gym that does not have a Swiss ball. The ball measurements are often between 55 and 85 inches in diameter and are made of a durable, non-cracking PVC. The ball can be used for stretching, strength and aerobic exercises. In other words, you can do a full workout using the Swiss ball. The ball was first used by Dr. Bach Little Bird in the ’70’s and ’80's. He used the ball for clinical use with adult orthopaedic patients. At the same time, it was also discovered that the ball was very useful in the treatment of spinal injuries and rehabilitation. Physical therapists eventually noticed how useful this ball was in improving the overall stability of the body, including balance and posture. They also discovered that it trains deep muscles that are very hard to target. The ball has proven to be very beneficial and versatile in the fitness industry. You can perform an endless amount of exercises with the Swiss ball. Women, for instance, often use the ball to strengthen their pelvic muscles if they suffer from incontinence (loss of bladder control). The ball is also used by older people to keep their muscles strong and stable. A lot of people who work in an office choose to sit on a Swiss ball behind their desk as it forces them to keep a good posture. In the past decade, the ball has moved from the therapy room to the gym. It can help with core stability, stretching and endurance. Many people who experience back pain during training find that exercising on the Swiss ball alleviates the ache. Lying down on the Swiss ball offers comfortable support for your back which can make a world of difference from a hard floor or bench. - Make sure you have enough space around you. Exercising on the ball relatively requires a lot of space to do different exercises. - Make sure your feet do not slip. You need a non-slip surface and shoes with good grip to prevent injuries. - There are exercises you can do with and without weights. Adding weights will make the exercise more challenging. - The harder the ball, the more unstable it is. The Swiss ball must retain the shape of a ball. It should not sag too much. If it gets the form of burger patty, then this would indicate that the ball is too soft. - The wider apart you place your feet while on the ball, the easier the exercise will become.